There are few things in life as satisfying as putting together a great Lego set. We've got the best picks here, from the Lego Star Wars series, to high-tech Lego Technics, Lego Mindstorms, Lego Harry Potter and Lego City. Lego's really picked up recently as being great for mindfulness, so there are from ideal Lego sets for adults in the list – but also just some fun playsets for kids to put together and then throw around the room. From James Bond to NASA, Lego has managed to license some of the biggest names in the world and turn them into plastic brick form. But it's not just movies, Lego loves everything from tech-fuelled robots, to theme park attractions, to architecture, so we've rounded up the ones that you'll want to splash out on this year. Don't worry, you can always say you got it for the kids. 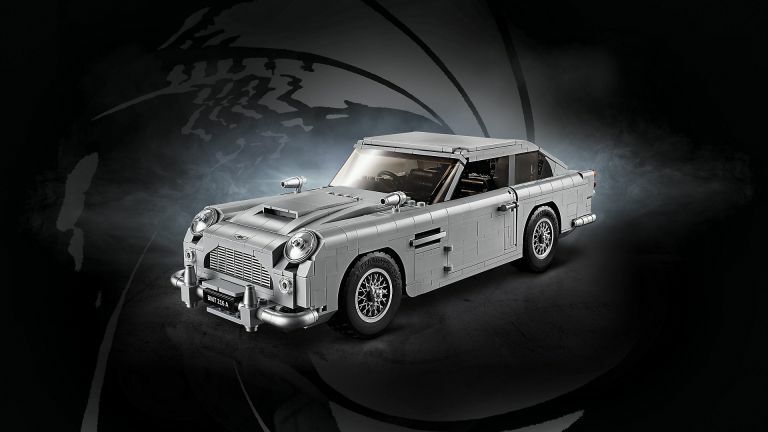 As if a Lego Aston Martin DB5 isn’t cool enough on its own, this set lets you build Bond’s tricked-out model, complete with gadgets. Yes, once built, you can rotate the licence plate, raise the bullet-proof screen, pop out front machine guns and tyre-bursting blades from the wheels and eject unwelcome passengers, naturally. There’s even a detailed six-cylinder engine to view under the bonnet. At 24cm long when built, this is bog enough to be a showpiece without taking up tons of room. This astonishing set is built to microfig scale – these are tiny Lego figures just one stud in width and about a centimetre tall. This means that when the 1m(!) tall full rocket is built, it towers over its occupants in an epic manner only befitting the craft that took humans to the moon. It’s built to mimic the real craft in as many ways as possible, meaning that it breaks apart into three stages (or fits into one full unit), and that the LM (lunar module) can be stored behind the nose cone as in the actual ship, or stood out on a little moonscape diorama. Similarly, there’s a little command module that sits on a Lego sea with floats around it, for the successful return to Earth. One the one hand, this is a fun playset for kids to mess around with minifigs (including, Harry, Hermione, Ron, Draco Malfoy, Dumbledore, Professor Quarrel and, for the first time ever, Hagrid) in recreations of Hogwarts’ iconic dining hall, as well as a potion room and moving staircase. On the other hand, the meticulous detail that makes it look just like the movie vision of Hogwarts’ grand exterior makes it an excellent collectible for fans of the series of any age. Mixing digital and physical play (a theme you'll see a lot from Lego in the future), this pack includes a few characters and models from The Lego Movie 2, as well as Lego for building a kind of stage (complete with two different backdrops) to film your own movie scenes. There are mechanisms for moving vehicles around, and you'll build a camera rig (complete with director's chair for a mining, adorably) on which your phone sits, recording into the accompany app. You can shift the camera angle, and even perform dramatic panning movements. Your movies are stored in the app, and can be shared with the Lego community (they're moderated). Step one: build a cool little Batmobile, with a style inspired by the excellent Tumbler from the Dark Knight films, complete with electric motors enabling four-wheel drive. Step two: connect the app on your phone to the Bluetooth control model inside the model. Step three: drive it around while bellowing at criminals in your huskiest voice. Is there any sweeter combination of words in the English language than ‘Lego’, ‘pirate’ and ‘rollercoaster’? Maybe ‘3 sets in 1’, though that’s actually quite a lot of words, but it also applies here. Not only does this build a small rollercoaster with really fun-to-build pirate decorations, it can be rebuilt to two other designs from the instructions, which give you alternative theme park attractions to make. And yes, the cars really go around the track. In need of an astromech and a protocol droid? You’ve come to the right mobile desert scrap merchants. This Sandcrawler set comes with a couple of Jawas and run-down droids, plus Luke in his pre-rebellion gear. The Sandcrawler itself has an opening cockpit, a ramp at the front that lowers and raises, and removable panels so you can play with the crane and droid prison inside. It even has tracks that steer using a gear wheel. What you're looking at here isn't your standard Lego set, it's five different programable models, which are all educational and fun. The Boost Creative Toolbox works in partnership with an app, which not only brings your creations to life, but also introduces basic coding. The five models include Vernie the Robot, the M.T.R.4 (Multi-Tooled Rover 4), the Guitar4000, Frankie the Cat, and last but not least, the AutoBuilder - an automated production line that really builds miniature LEGO models! This Dinosaur set is the best selling Lego set on Amazon. It's an attractive price, and is actually three sets in one. You have the option of creating a menacing T. rex, powerful Triceratops or a terrifying Pterodactyl. That's great VFM, if ever we saw it! The biggest and most spectacular Lego Technic set is one hell of a creation. The 28-inch complete model has a motorised bucket wheel and conveyer belt, and you can rotate the structure using a joystick (and drive it on its tracks). It’s a huge project to build, and deeply satisfying… and then you realise Lego even provides instruction for a second model you can build from the same pieces (a processing plant) that’s actually even bigger (up to to 34-inches long). Yes, it’s a Lego Store made of Lego! Turn around the detailed storefront to find an open back with detail inside, including tiny Lego constructions and Lego blocks with stickers on to make them look like Lego product boxes. This is Lego-ception, and it’s an amazing gift for a big Lego fan. This Beetle, complete with beach gear, is a really impressive model. The authenticity stretches to being able to see the engine in the rear, having the spare tyre in the front, and you can fold the seats. It comes with a bunch of licence plates, so you pick the right one, and you can choose whether the stack up to surfboard and coolbox or not. A perfect little set for Star Wars fans, this great recreation of Luke’s Tatooine runabout includes Luke, Old Ben Kenobi (and his lightsaber), and a Tusken Raider to fight off.